Medical Management Online is your partner in the medical field. Our goal is to become an indispensable tool of medically investigative services to your firm. Between our member website, which chronicles every step in any ordered service, to our strong practitioner network and experience in giving litigation support, our team is ideal for law firms seeking reliable, flexible, cost-effective solutions. MMO has a network of over 1,000 practitioners and an experienced staff including specialists in environmental science and hazardous materials. With services such as IMEs, record reviews, billing and coding reviews, litigation support, and blended services, MMO is a one-stop shop. Through our headquarters and regional offices, MMO can schedule IMEs and file reviews throughout the US, Canada, and Puerto Rico. We have polished our process over the last 20 years and can easily adapt it to your preferences. Our staff can assist with scheduling examinations, reviews, and litigation. 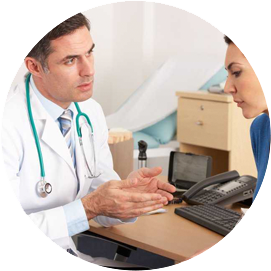 We prepare legal files for physician review, typically sorting them by provider, date and duplicates. This step contributes to the efficient use of the physician’s time. Our physicians stay informed on the bigger picture through case chronologies that provide an overview of the precipitating incident and subsequent medical treatment and diagnostics. Our user-friendly and secure website provides realtime status on all referrals, access to all documents relating to the case, and easy opportunities to give us feedback.